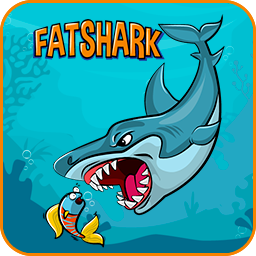 Fat Shark is a Survival Endless Game.This shark is starving! Feed him with some fishes, but be careful! The more he eats, the more he’ll get fat and won’t avoid bombs anymore! Collect algae bonuses to shrink back to the original size, starfishes and hourglasses to get more points!